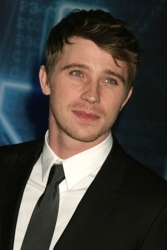 Garrett John Hedlund (born September 3, 1984) is an American actor known for his roles in the films Friday Night Lights, Four Brothers, Eragon, and for his role as Sam Flynn in the film Tron: Legacy. Although he was born in Roseau, Minnesota on a beef cattle farm, he has that California surfer guy blonde tipped tresses which he wears in a variety of ways depending on whatever role he’s playing at the time. He also has dreamy blue eyes. Garrett has worn his hair all lengths and styles. He definitely is a man to watch, not only for his sizzling acting career but for his future hairstyles. Garrett is making waves right now with not one, but two films. In 2010, he played the leading role in the highly anticipated film Tron: Legacy, a sequel to the 1982 film Tron. His co-star in the film was Academy Award winning star Jeff Bridges. The film was released on December 17, 2010. Garrett had to undergo months of combat training for Tron which helped his develop his sizzling hot body. 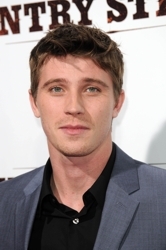 Hedlund is also co-starring with Gwyneth Paltrow and musician Tim McGraw in the country music drama Country Strong. 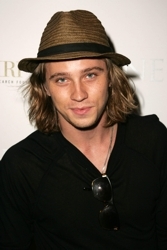 Garrett made his acting debut in 2004 as Patroclus in Troy. The film, which starred Brad Pitt, was released May 14, 2004, to mixed reviews, but debuted #1 at the U.S. box office and went on to gross over US$487 million worldwide. He also starred as Don Billingsley in the 2004 drama Friday Night Lights. Although his role as Jack Mercer alongside Mark Wahlberg in Four Brothers received mixed reviews, the film was a box office success earning $92 million worldwide. His supporting role as Murtagh in Eragon was released in December 13, 2006 and earned $249 million worldwide. Unfortunately his role in Georgia Rule with Lindsay Lohan and Jane Fonda was negatively received by critics and failed to surpass box office expectations only making a lifetime gross of $41 million. Since Georgia Rule he starred in the film Death Sentence and was rumored to appear in the independent film Hectic as Louis. Garrett is playing the role of Dean Moriarty in the movie of the Jack Kerouac novel On the Road filmed in 2010 in Montreal and various other locations in Canada. Garrett’s co-star in On the Road is Twilight’s Kristen Stewart. The film is scheduled to be released in 2011. What did Garrett think of Kristen? He told US Weekly “she’s truly one of the coolest gals around.” I am sure there are many fans that will agree with that assessment. This entry was posted on Tuesday, January 4th, 2011 at 11:33 am	and is filed under Celebrity Bites, Celebrity Gossip, Celebrity News, Hair. You can follow any responses to this entry through the RSS 2.0 feed. Both comments and pings are currently closed.